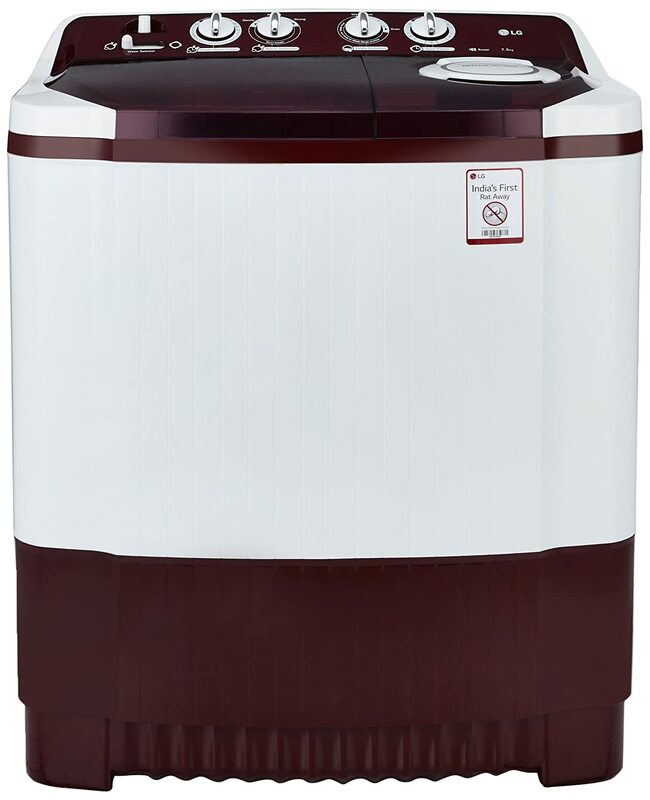 The machine has 3 different wash programs ensuring a safe and customized wash for every fabric type.The lint filter collects the fibres which come out while washing clothes. The fibres thus do not get stcuk in the pipe, ths giving a better washing performance.Its unique collar scrubber helps you scrub cuffs and collars, saving your time and efforts.The rollers causes added friction to the clothes, removing dust and mites. 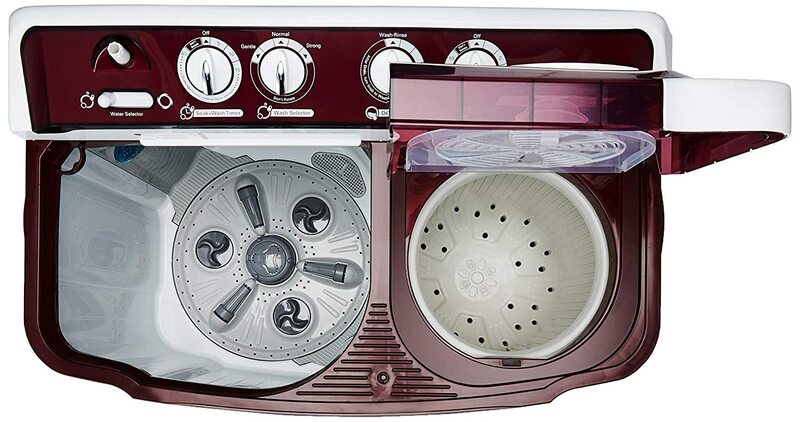 This results in a better quality wash.LG puts technology to best use with its latest range of Semi-Automatic Washing Machines that come with Rat Away. 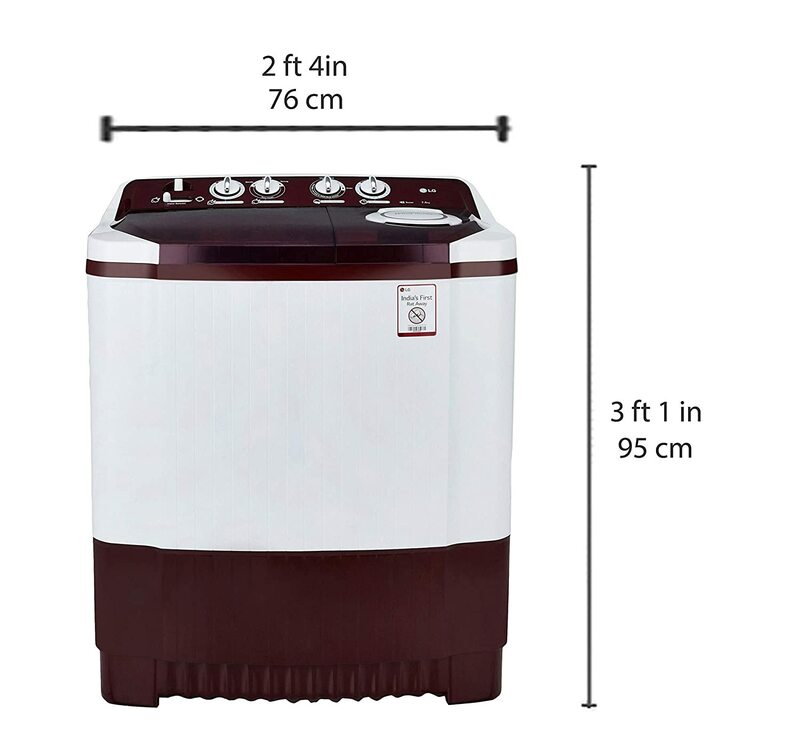 LG washing machines have a 3mm strong plastic cover with rat repellent chemical that ensures any harm done to your washing machine is reduced, thereby enhancing the durability and performance to give you a best in the class experience.